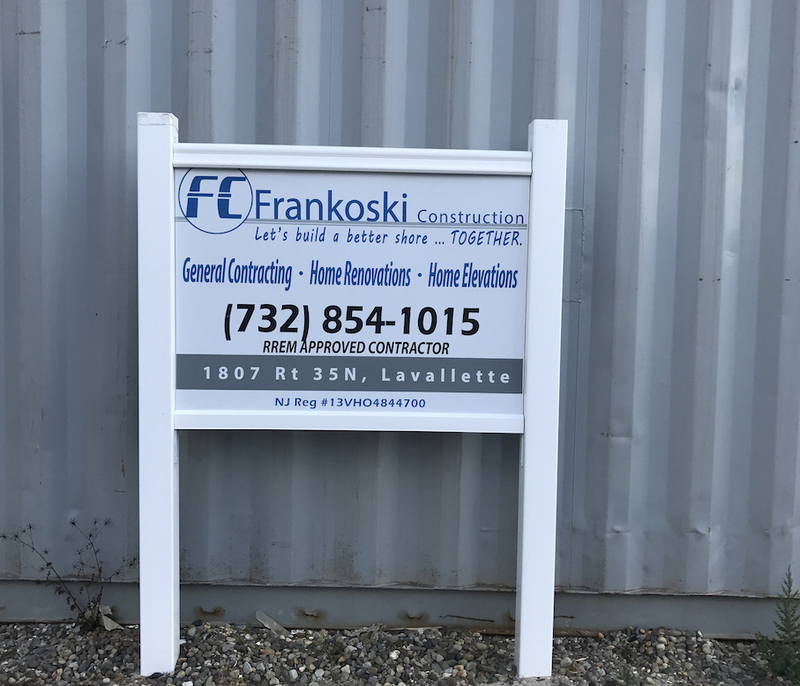 FC South | Frankoski Construction Co., Inc. 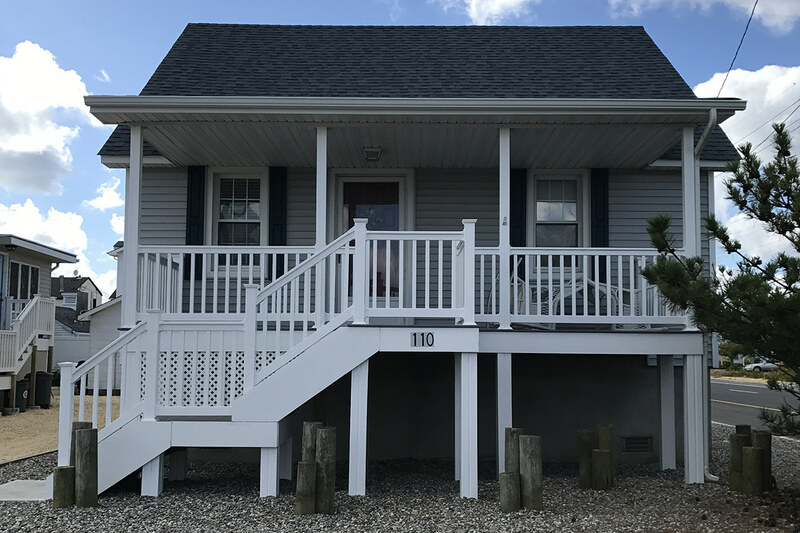 In 2012, Hurricane Sandy resulted in unprecedented devastation of the New Jersey shore. 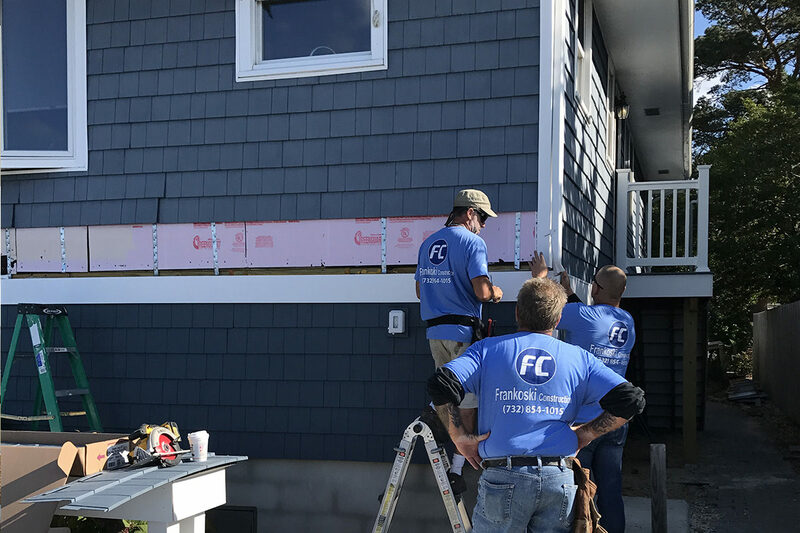 The damage ranged from minor damage to complete destruction of many homes which drew Frankoski Construction southward to help residents’ recovery efforts with house raising, repairs, renovations and rebuilding in the hard-hit area. 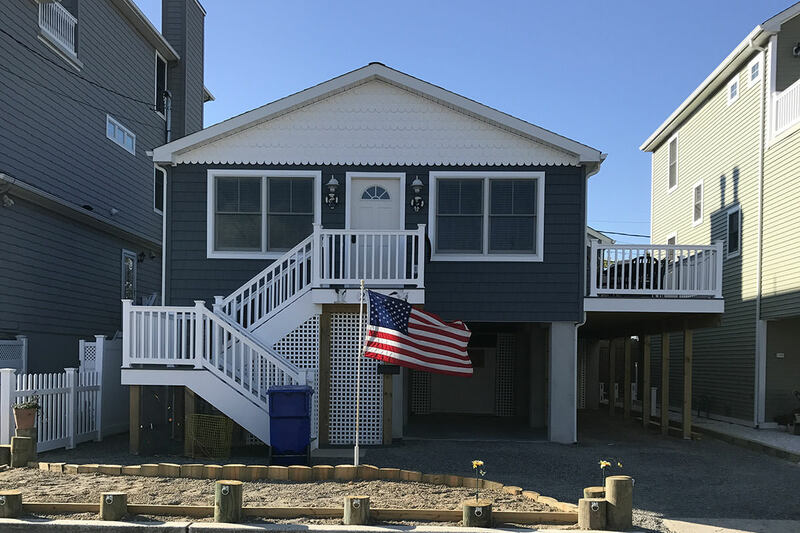 Frankoski Construction South is located in Lavallette, New Jersey and led by Vice President Anthony Frankoski, a 40-year construction veteran. 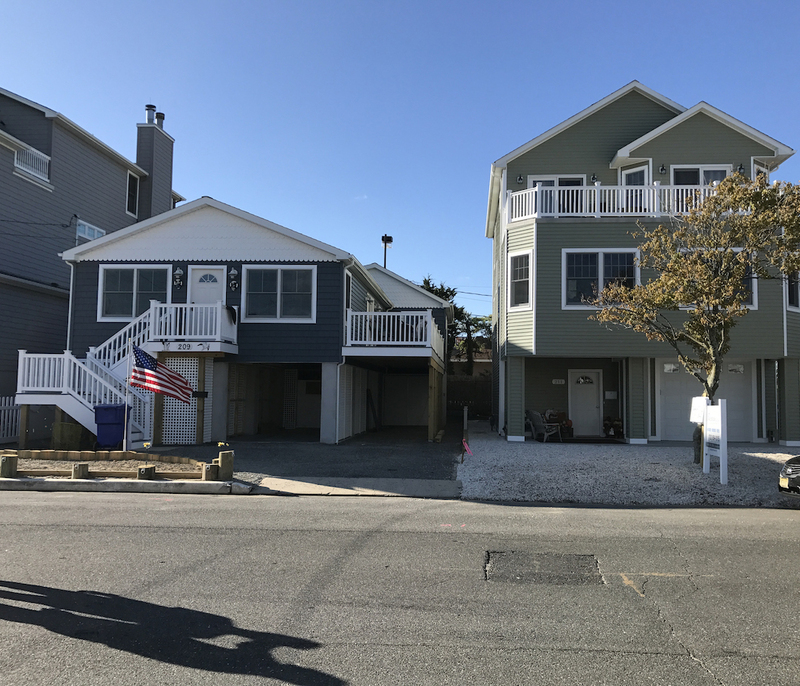 The company has completed numerous residential and commercial projects, and as construction of residential units reaches all-time highs, we continue to build on our reputation as a premier Jersey Shore Home Builder. 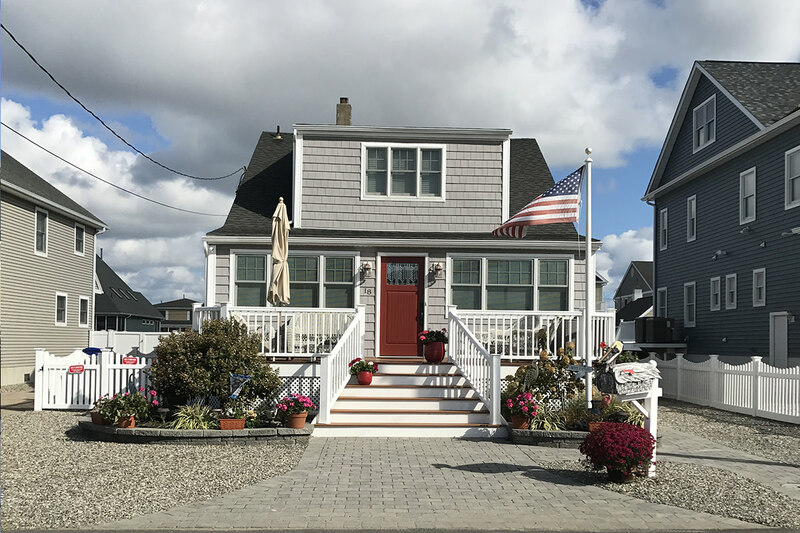 Anthony and his highly skilled team are well-suited to address the intricacies involved in house raising, high-end home repair, and the complex projects of shore construction. 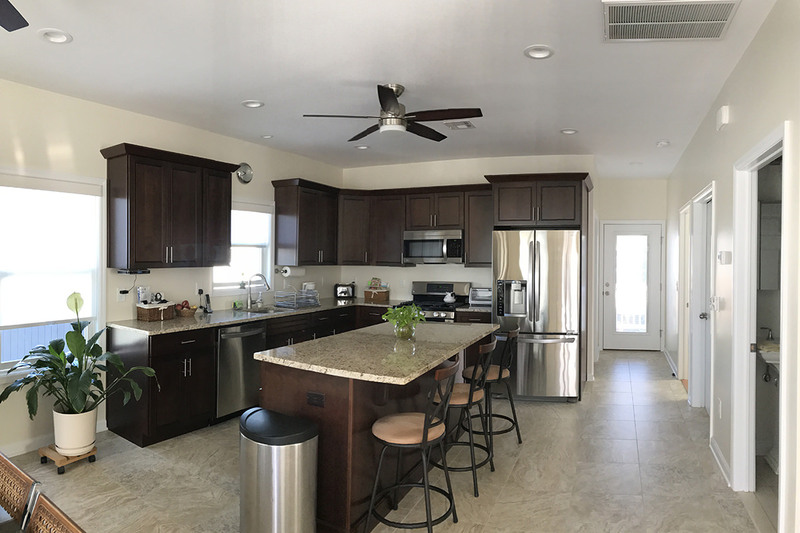 Need a home built? 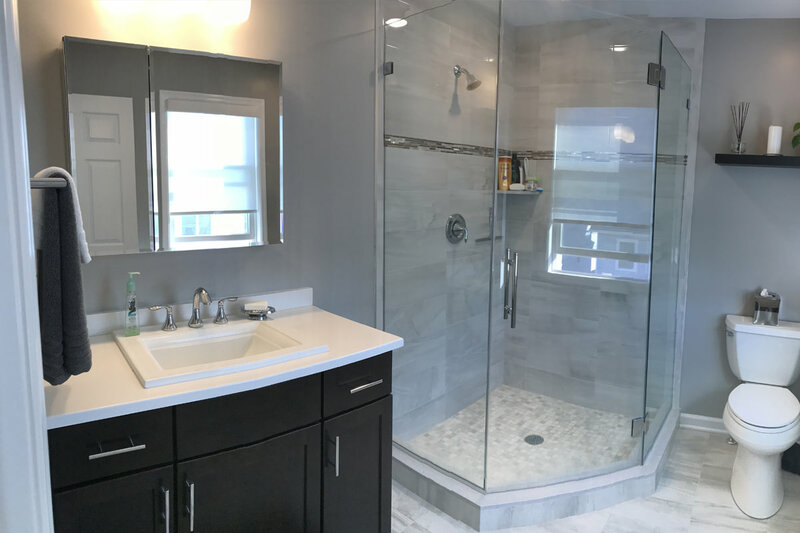 Frankoski Construction will help bring that vision to reality. 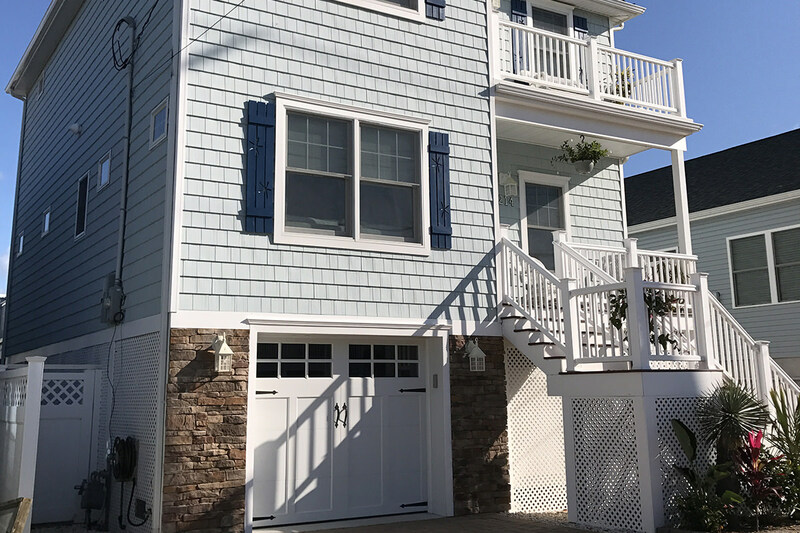 We have built relationships with leading New Jersey architects and spent countless hours working with building and home inspectors all in an effort to make the process efficient and cost-effective for our clients. Current codes and revisions in F.E.M.A.flood elevations maps have made it necessary to elevate many homes to keep the finished floor above the current base flood elevation (B.F.E.). 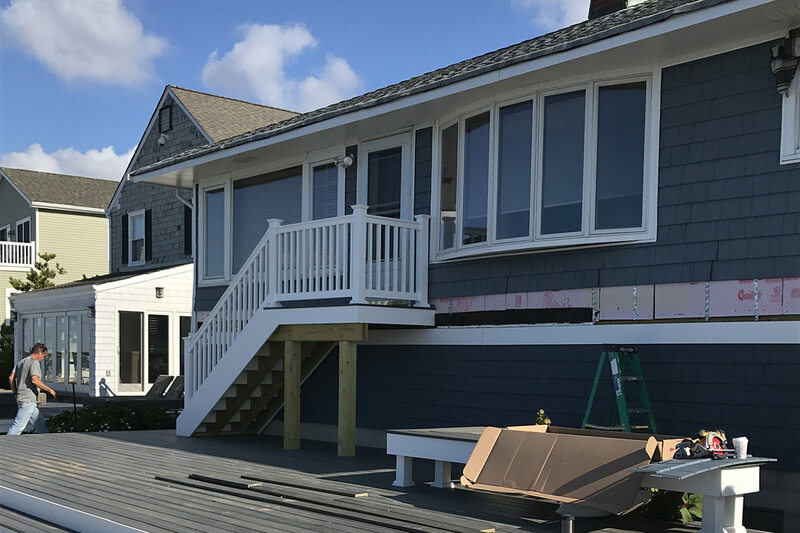 This process requires skilled craftsmen and precise coordination during the various phases required for completion of this complicated procedure. 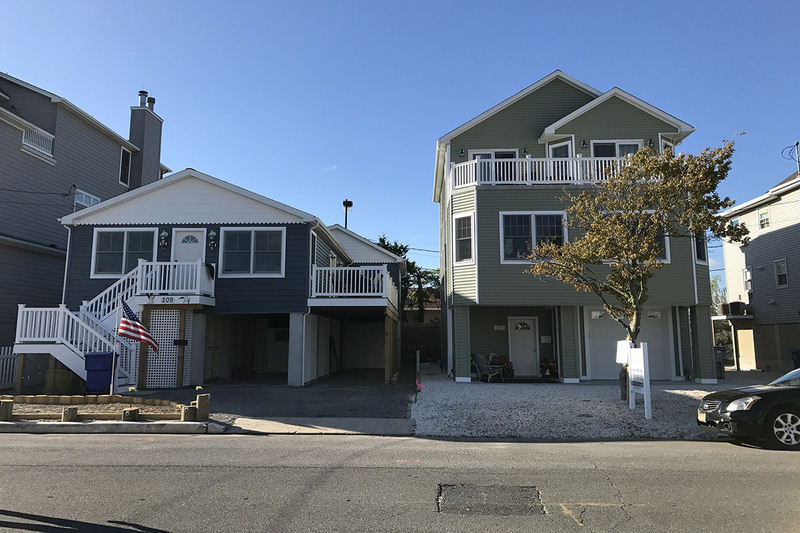 From the actual elevation of the home, the construction of the new foundation to the re-connection of the utilities and the final finishes, Frankoski Construction has successfully completed dozens of elevations along with the renovations required to get residents back into their homes and more importantly back to their normal pre-storm lives. 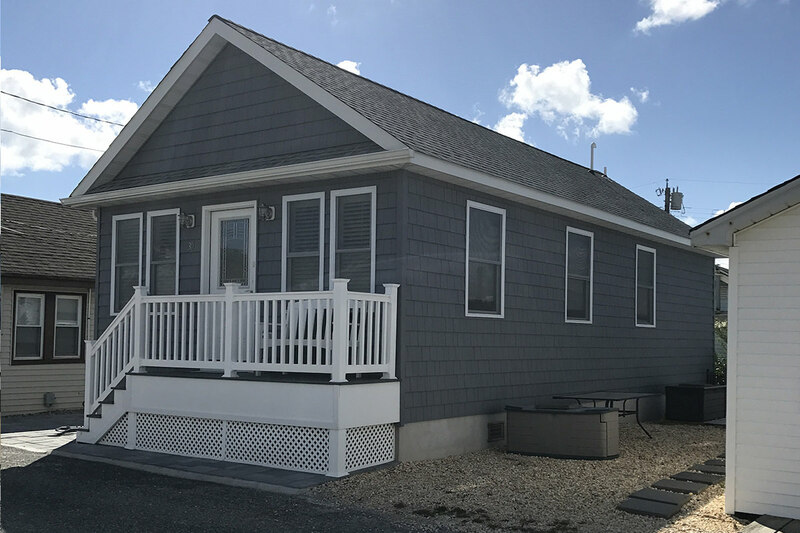 Is your home too small? 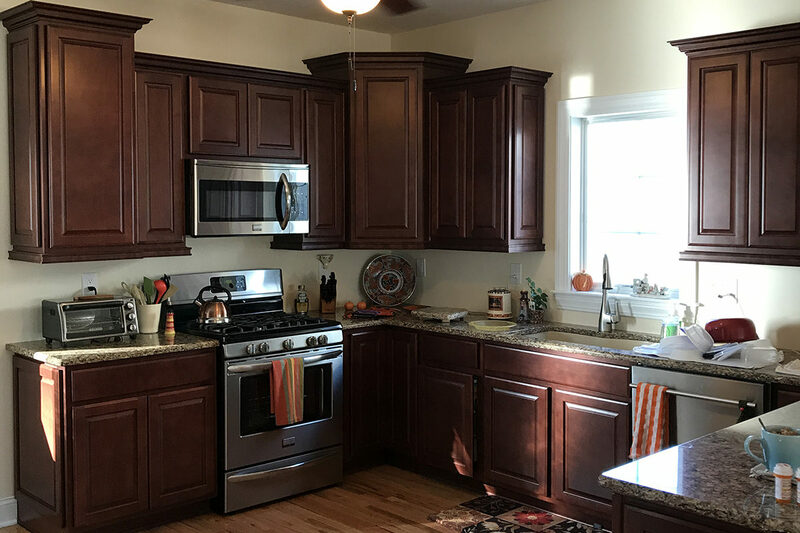 Do you need a new kitchen or are looking to renovate your existing one? 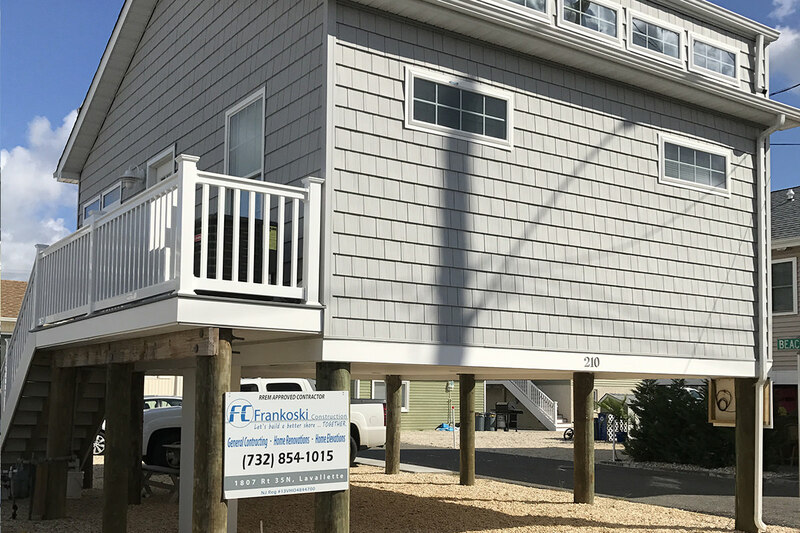 Frankoski Construction has a highly trained team in place to make your dreams a reality. 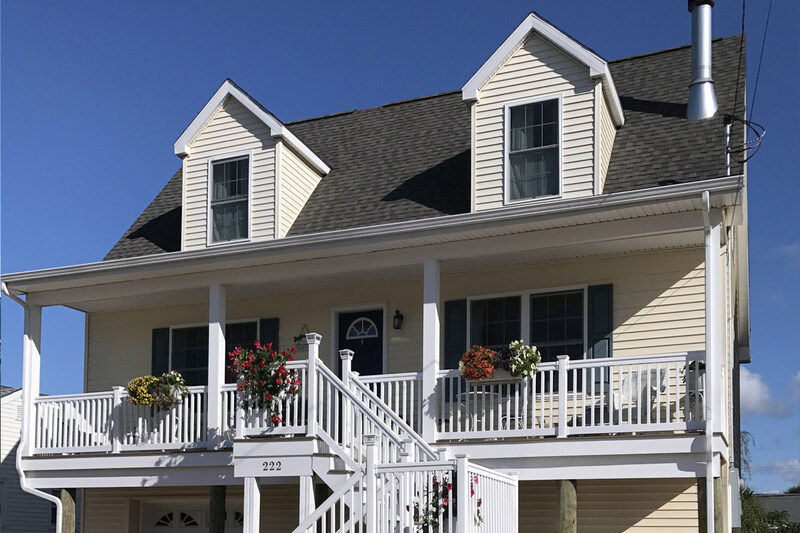 Let us deal with building inspectors while you sit back and watch your vision come to life. 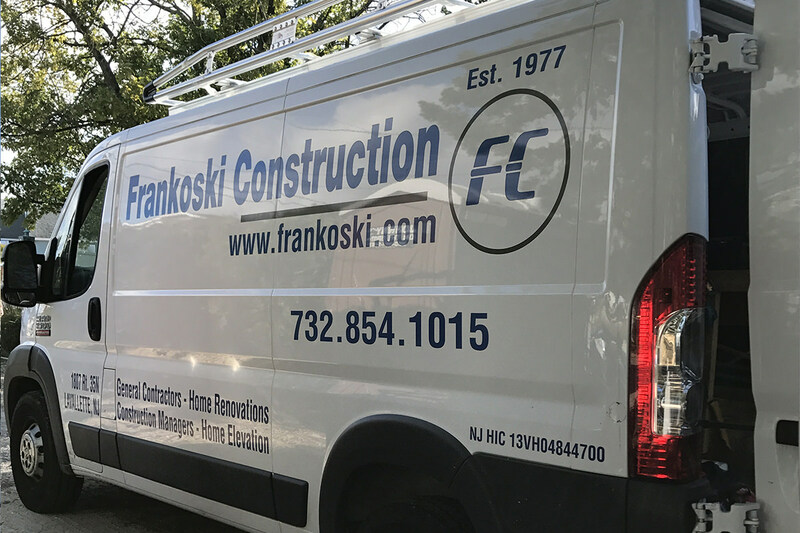 Weather its wind, rain, sleet, hail, or snow; hurricanes, floods, blizzards, or fire, Frankoski Construction is on call to serve our clients in their darkest moments. 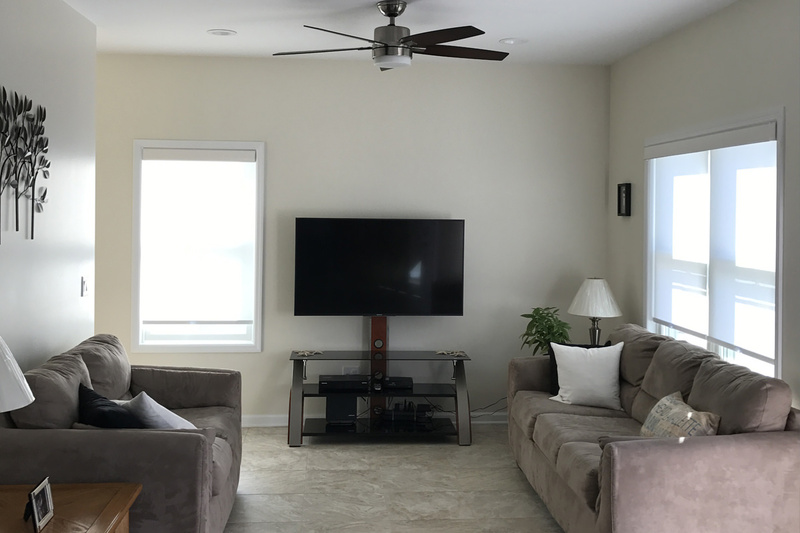 In the event of emergency, we are available to restore the comforts of home lost during hard times. From the North: Travelling from the Parkway South merge onto NJ-37E Via EXIT 82 towards Seaside Heights/Island Beach State Park. Merge onto NJ-35 and continue straight for 2.6 miles to 1807 Grand Central Ave, Lavallette, NJ on the right. From the South: Travelling from the Parkway North merge onto NJ-37E Via EXIT 82 towards Seaside Heights/Island Beach State Park. Merge onto NJ-35 and continue straight for 2.6 miles to 1807 Grand Central Ave, Lavallette, NJ on the right.